Today, we’re going to take a look at the King of Bling in the world of Cisco switches…the G-unit. The G-unit is a type of high-end switch, comprised of several Ethernet ports that are all infused with gigabit speeds. A veritable entourage of ports allows these units to reach speeds of Ethernet connectivity that surpass its megabit-capacity counterparts. These ports allow data to be transferred rapidly, fired back and forth across a network. Protect yo neck. With today’s high-traffic network demands, and in a time where digital multitasking is more available (and expected) than ever, a G-unit is an invaluable device to provide the necessary bandwidth. Let’s say you walk into the conference room and are asked to give a presentation…but you’re giving that presentation not just to everyone in the room, but also to the clients in Asia via an IP video call; you’re sending out an outline to everyone present; you’re pulling the website up to demonstrate recent changes made to the user interface. The power of Gigabit Ethernet that a G-unit can provide can make all of this possible for multiple devices at once. No one can mess with the G-unit. 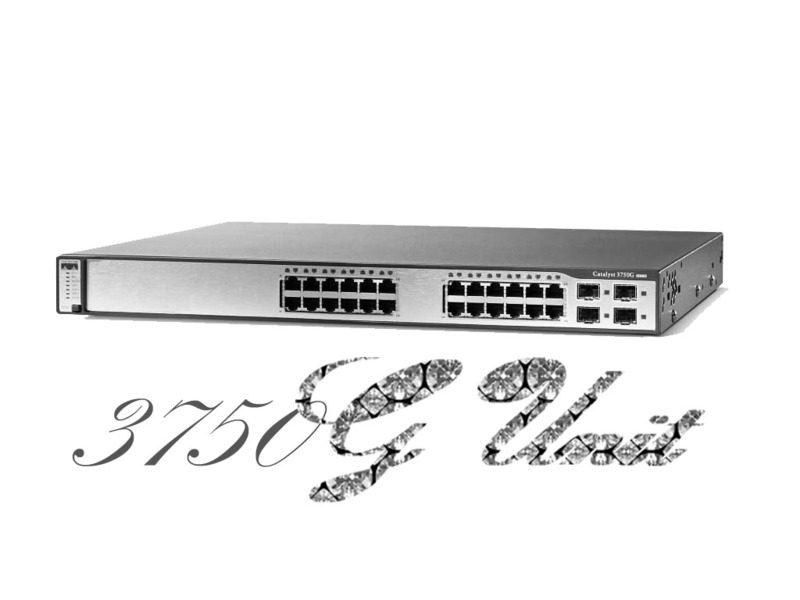 This entry was posted in Buying Guide, IT Hardware, IT Hardware In Pop Culture and tagged 3750, 3750g, cisco, CISCO EOL, EOL, eol hardware, g unit, it hardware, network hardware, planit hardware, switch, used IT hardware. Bookmark the permalink.